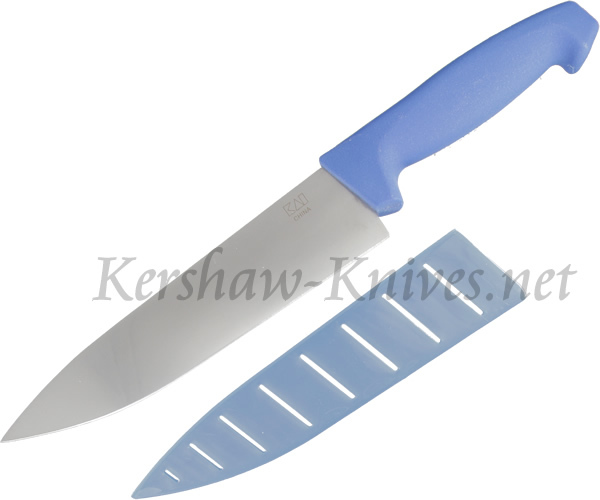 The Kershaw Professional Grade Chef knife model 1288 has an 8 inch blade. It weighs only 4.8 ounces and is the perfect butcher knife whether you are at the camp site or at home. The handle is made of comfortable polypropylene that will help reduce fatigue while you are cutting. A blade guard is included that has air holes in it to keep your knife safe and dry.